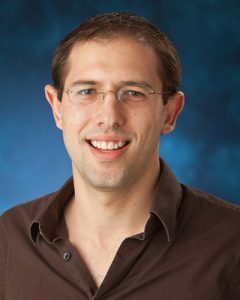 Bio: Josh Pasek is Associate Professor of Communication Studies, Faculty Associate in the Center for Political Studies, and Core Faculty for the Michigan Institute for Data Science at the University of Michigan. His research explores how new media and psychological processes each shape political attitudes, public opinion, and political behaviors. Josh also examines issues in the measurement of public opinion including techniques for reducing measurement error and improving population inferences. Current research explores how both accurate and inaccurate political information might influence public opinion and voter decision-making, evaluates whether the use of online social networking sites such as Facebook and Twitter might be changing the political information environment, and assesses the conditions under which nonprobability samples, such as those obtained from big data methods or samples of Internet volunteers can lead to conclusions similar to those of traditional probability samples. His work has been published in Public Opinion Quarterly, Political Communication, Communication Research, and the Journal of Communication among other outlets. He also maintains two R packages for producing survey weights (anesrake) and analyzing weighted survey data (weights).